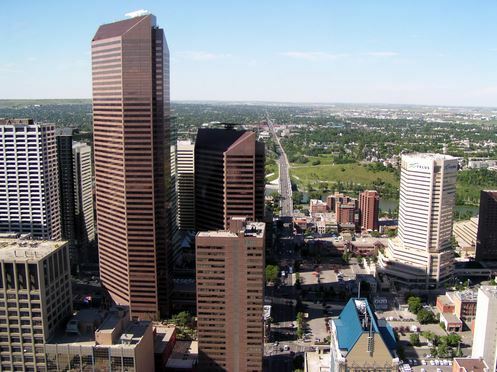 The effect of the weakened oil industry has resulted in a collapse of Calgary’s condo market according to a new report. The Altus Group says that sales of new condos plunged 61 per cent in the first quarter of 2015 compared to the same period last year. There were 523 transactions in the first three months of this year, down 53 per cent on the five-year average although still above the level during the financial crisis. The report says that a combination of lower consumer confidence and the exit of investors in the market have led to the plunge in sales. The outlook depends heavily on better news on oil prices and employment for the region. Put a sock in it. A 61% annual decline is a turd. Polish it however you want, dude. Is there any connection between Calgary's large decline and Vancouver' large increase in the last 3 month? Are international investors switching from Calgary because of the economic situation to Vancouver? Are there any numbers available on the investors? ?